Oklahoma Gov. 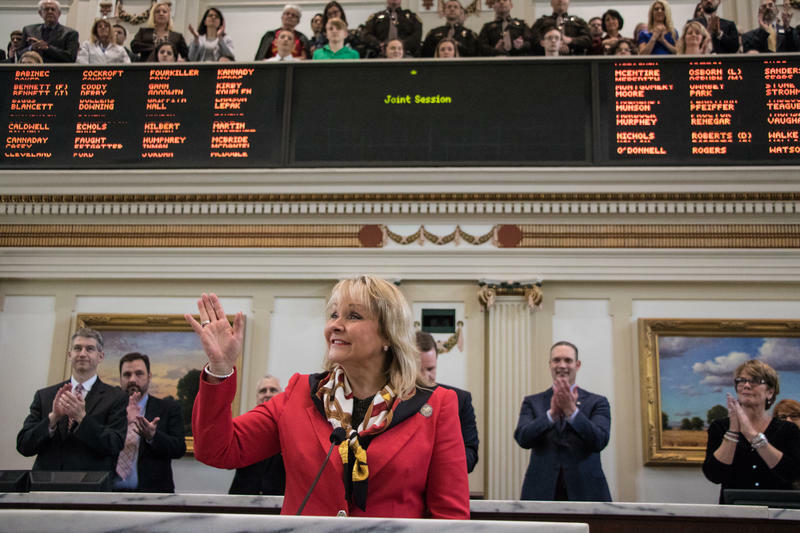 Mary Fallin used her final state of the state address to tell lawmakers to act immediately to shore up the state’s finances. The state faces an estimated $425 million budget shortfall for the upcoming fiscal year, while the government still does not have enough money to fund services for the current year. “No more delaying. No more putting things off. No more kicking cans down the road. No more addressing long-term budget problems with short-term fixes,” Fallin said. 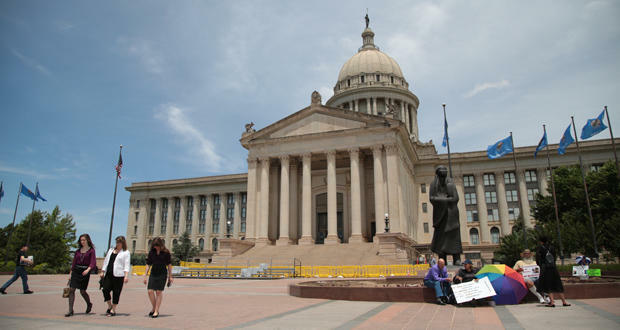 Oklahoma lawmakers are still in a special session looking to find additional revenue, one month before the next regular session is scheduled to begin. Gov. 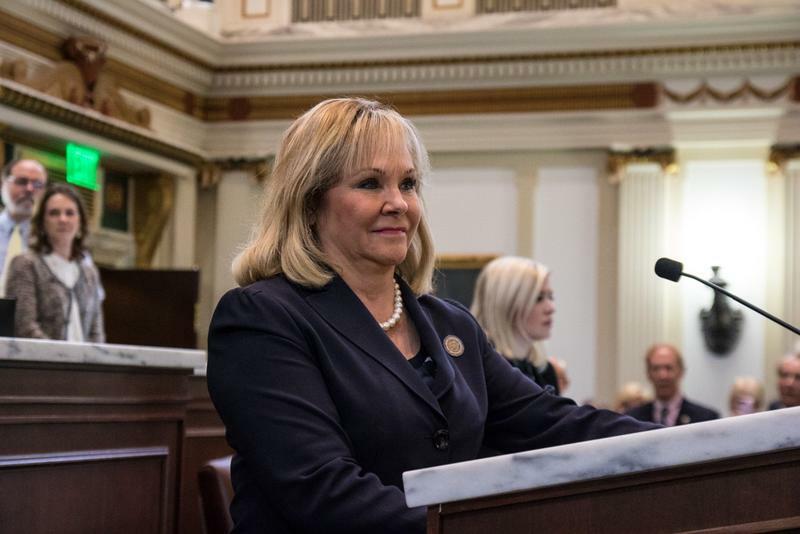 Mary Fallin called the special session last month, asking lawmakers to provide additional funding for the Oklahoma Department of Human Services and the State Health Care Authority. The legislature appropriated funds for the health agencies but have not yet found a way to prevent future budget shortfalls. Coming into Mary Fallin’s 7th state of the state address as governor of Oklahoma, there was one big question: How will the state deal with another revenue shortfall, and not cut funding to agencies that provide services. The state faces an estimated $870 million budget gap in the upcoming fiscal year. That comes after clawing out a 1.3 billion dollar deficit last year. 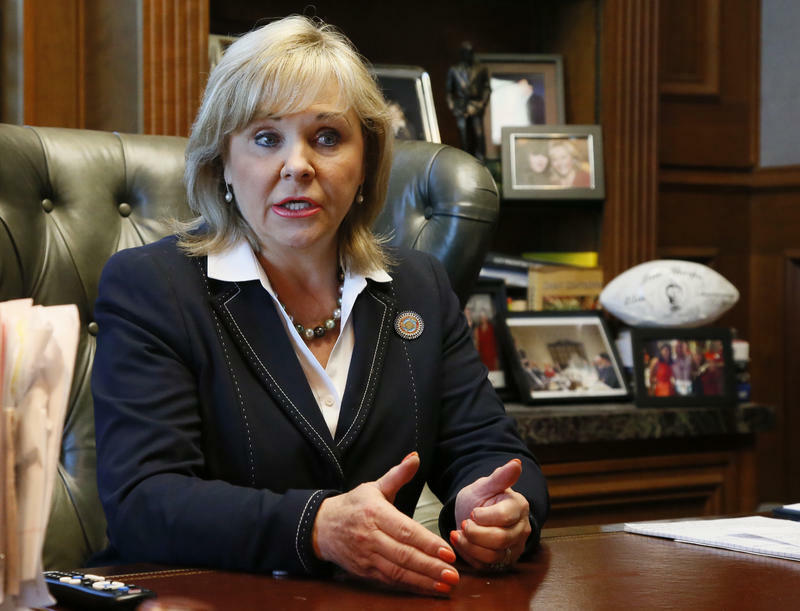 Fallin hinted last week she would present a series of changes to the sales tax system. On Tuesday, she outlined her plan. Gov. 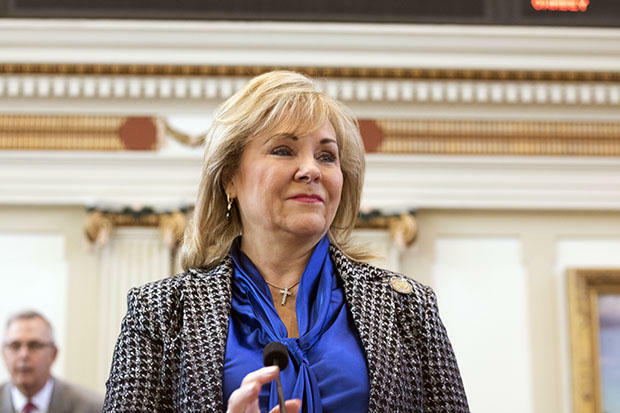 Mary Fallin says early projections show Oklahoma will have a nearly $600 million hole in next year's state budget. That’s nearly 10 percent of the current year's spending. 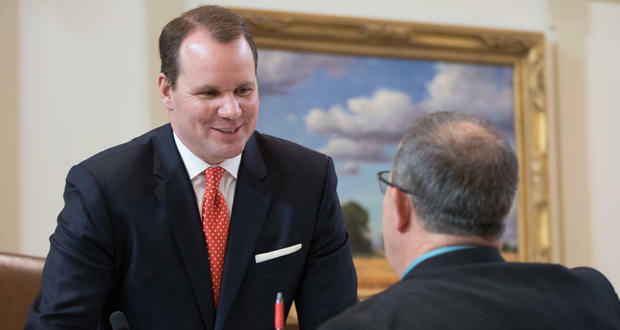 Two high-level officials in Oklahoma are under consideration for President-elect Donald Trump’s administration, but state law is particular about who can fill their seats if one or both move to Washington. Gov. Mary Fallin and Attorney General Scott Pruitt have both met with Trump as he forms his Cabinet. Fallin is rumored to be a candidate for Secretary of the Interior, and Pruitt’s name has been floated for a role within the Environmental Protection Agency. President-elect Donald Trump met with Gov. 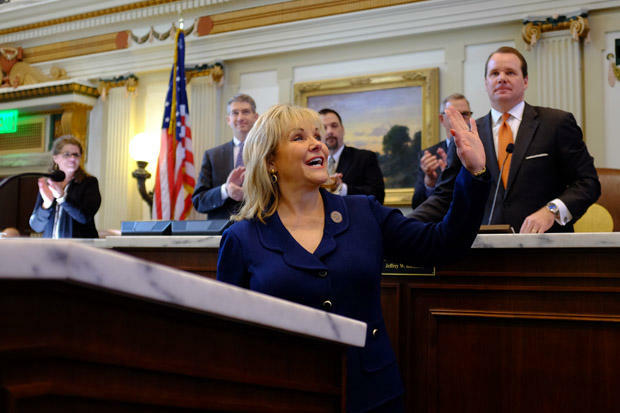 Mary Fallin on Monday to discuss a possible cabinet post. Fallin emerged from Trump's office in Midtown Manhattan on Monday, saying she and the president-elect discussed his plan and agenda for the country and how she might be able to help. "No, I was not offered a position. It was just an initial meeting to discuss a wide range of topics," Fallin told reporters gathered in the lobby of Trump Tower. The governor was accompanied by her husband Wade Christensen. Gov. 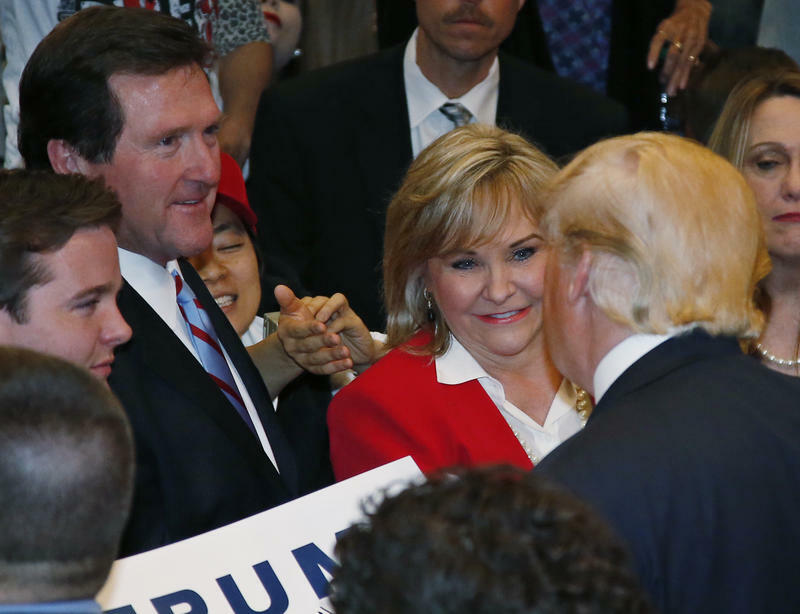 Mary Fallin says she'll still vote for Republican presidential nominee Donald Trump even after his 2005 comments that came to light Friday. In a press conference Monday, Fallin said she believes Trump's “vision for America” is better than Democratic nominee Hillary Clinton’s. Gov. 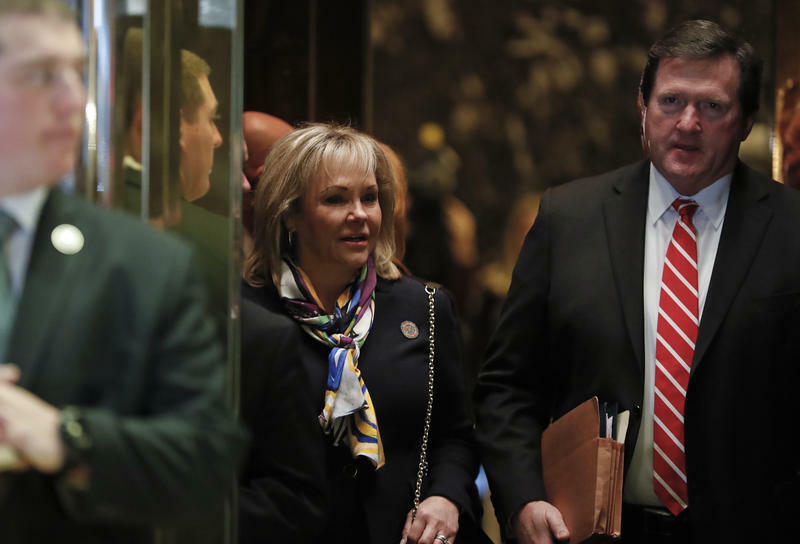 Mary Fallin says she's "disappointed and offended" by comments Donald Trump made about women in 2005, but she didn't pull her endorsement of the Republican presidential candidate. In a statement posted on her campaign's Twitter account during Sunday night's presidential debate, the Republican governor said that both Trump and Hillary Clinton "are very flawed and have made mistakes." Gov. Mary Fallin and Arkansas Gov. 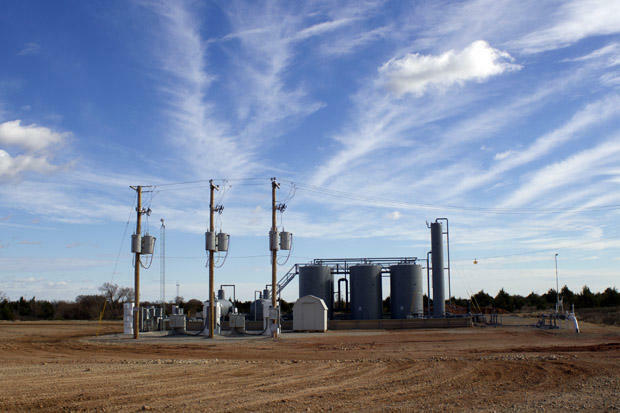 Asa Hutchinson both say energy policy needs to be included in the national political debate, but they disagree on a transmission line project that would move wind energy from the Oklahoma panhandle to western Tennessee. Fallin currently chairs the Interstate Oil and Gas Compact Commission, and Hutchinson takes over that role next year. Both spoke Monday at the group's annual conference in Little Rock. Fallin says she supports the Plains & Eastern Clean Line transmission project designed to move up to 4,000 megawatts of wind energy. Republican presidential nominee Donald Trump named four Oklahomans to his newly created Agriculture Advisory Committee Tuesday. Gov. Mary Fallin is the highest profile Oklahoman on the panel. “The Trump administration will work closely with farmers, ranchers and other agricultural producers to ensure their issues and concerns are being addressed,” Fallin said in a statement. The 64-member committee also includes state Agriculture Secretary Jim Resse, state Sen. Eddie Fields and state Rep. Casey Murdock. 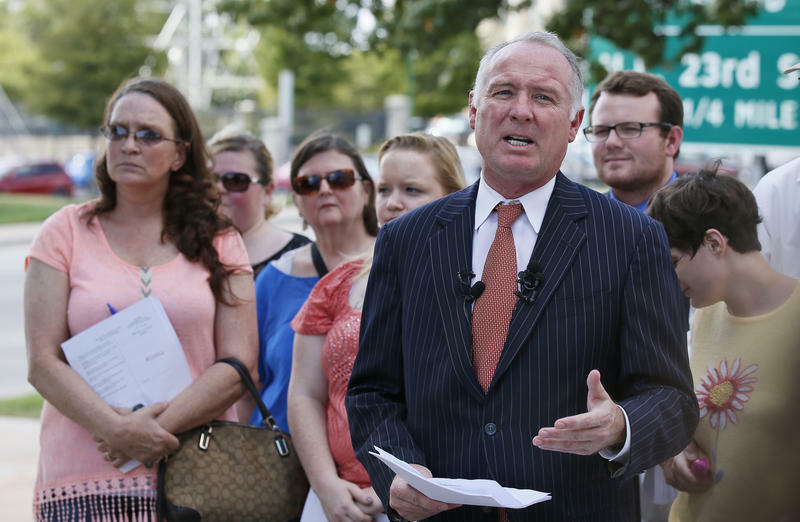 Attorney David Slane is suing Gov. 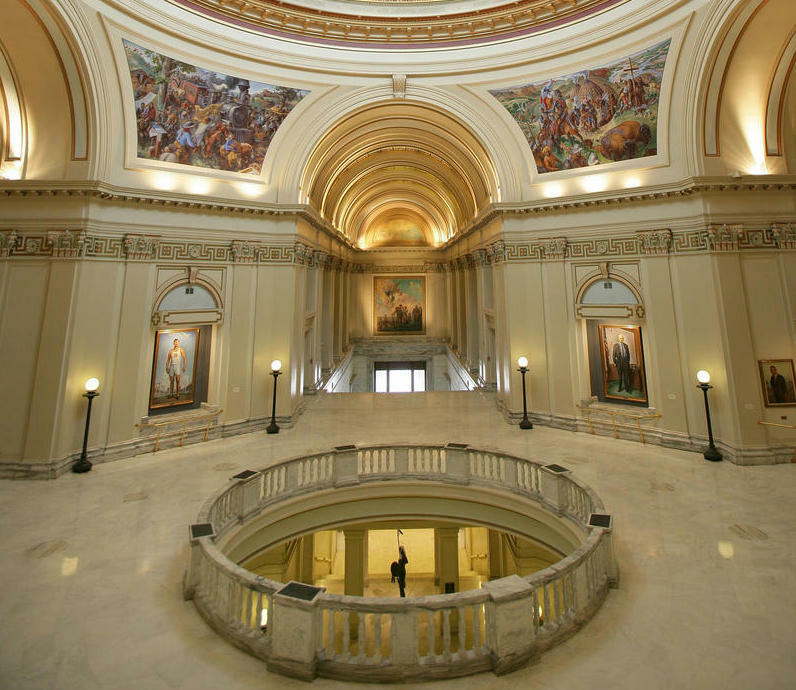 Mary Fallin over $140 million in unspent state funds he contends should go to state agencies. 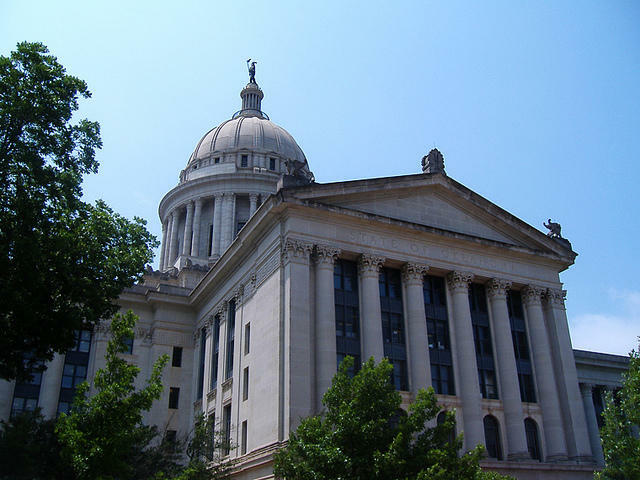 Slane filed the lawsuit Tuesday with the Oklahoma Supreme Court on behalf of six clients who receive state services through the Department of Human Services. Gov. Mary Fallin says Republican presidential nominee Donald Trump can end the country’s divisions and restore a sense of optimism. Fallin delivered a primetime address Thursday during the final evening of the Republican National Convention in Cleveland. She described Trump as a bold and courageous leader who speaks truth to power. Gov. 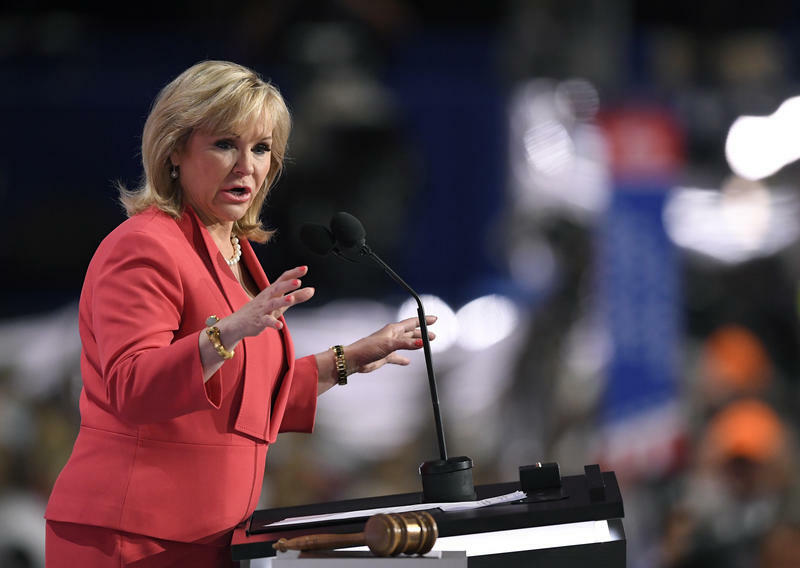 Mary Fallin says she plans to talk about what her party stands for during her address on the final night of the Republican National Convention. She told MSNBC’s Morning Joe on Wednesday her speech Thursday evening will be similar to the brief remarks she delivered Monday when she talked about the party’s platform. Gov. 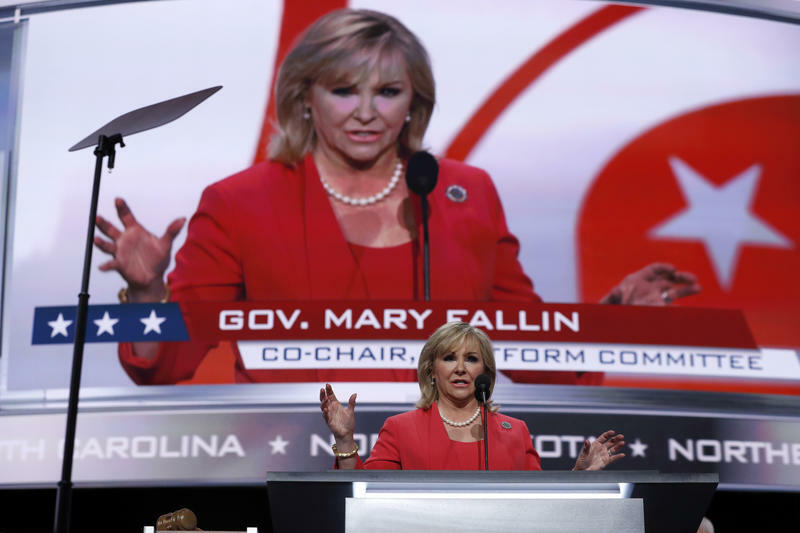 Mary Fallin spoke briefly during Monday’s opening of the Republican National Convention. Fallin serves as one of the co-chairs of the GOP’s platform committee, and says the party’s principles can change the way people think, and the direction of the country. Gov. 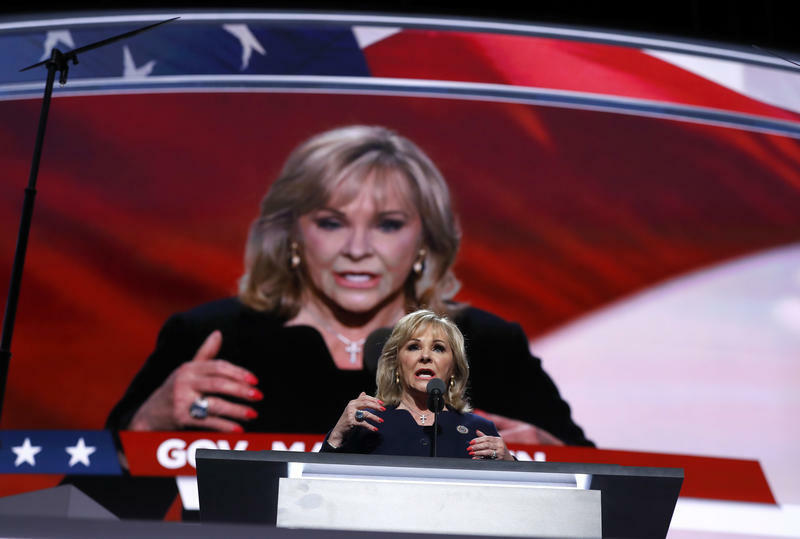 Mary Fallin says both Republican and Democratic presidential candidates, and anyone currently in public service, should relay a message of equal justice. Fallin told CNN's Jake Tapper on Sunday’s State of the Union she believes Donald Trump is trying to campaign as a racial healer in the aftermath of violence last week in Louisiana, Minnesota, and Texas.